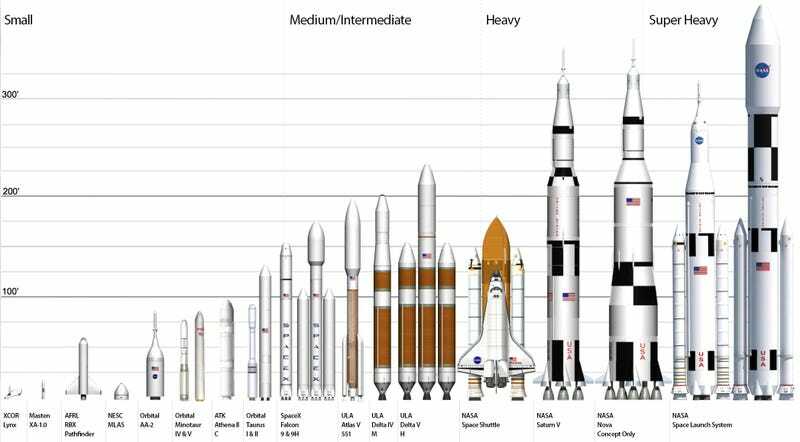 This one is an oldie, but I'm a sucker for NASA's rocket comparison graphics. I cleaned the one above, which I took from this PDF overview of NASA's Space Launch System by the Marshall Space Center. I just wish someone made a high quality vector file to print out in giant format.